Digital Scale, 201-EBT-01B is for Single Leveling Valve Systems. 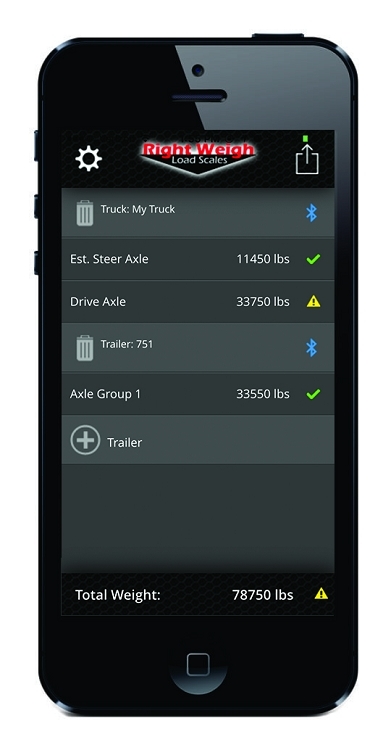 The 201-EBT series of digital load scales is identical to the 201-EDG series with the addition of Blue Tooth capability which communicates through most Smart Phones via a free app. You can use the same 201-SK install kit and/or the 301-QDK if working with the 201-EBT-02B with a dedicated trailer. · Bluetooth enabled with free, easy-to-use application available for download on Google Play and the iTunes App Store. · Android and iOS compatible. 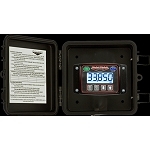 The Right Weigh scale monitors the weight of any single, tandem or tri-axle group of an air suspension straight truck, tractor or trailer. Measuring and reading on-the-ground weight in pounds or kilograms, these weather tight digital gauges are intended to withstand extreme temperatures and inclement weather conditions allowing for exterior installation. The Scale's unique design incorporates a simple two-point calibration process, ensuring accurate weight readings within at least 300 lbs or better. 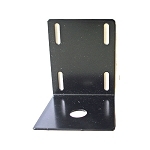 A large LCD display allows for easy viewing from 30 feet or more, even in bright sunlight.